Join us Saturday, July 13 for MORPC’s inaugural Paddle & Pedal as part of this year’s Riverfest On Tour! Paddle along the Olentangy River from Broadmeadows Park to Northmoor Park to celebrate the ground breaking of the Olentangy Water Trail. Next enjoy a bike ride along the Olentangy Greenways Trail to downtown Columbus with stops along the way to learn about the 5th Avenue Dam removal and river restoration. The ride ends at North Bank Park with a discussion of the proposed Main Street Dam removal. Life jackets, boats and paddles will be provided. Please register for a boat, as the number of boats is limited. A canoe accommodates up to two adults with two small children; a kayak accommodates one person. All minors must be five or older and supervised by an adult. You must be 14 or older to use a kayak and minors must also be supervised by an adult. Each person joining the bike ride should register; bikes and helmets are not provided. Secure bike storage will be available. Bring your own lunch and beverage. Meals are not provided. Dress for the weather and wear comfortable footwear. Shoes are required and may get wet. In the event of unsafe river or weather conditions, the event will be cancelled. All registrants will receive an email early morning if this occurs. Bike ride participants are responsible for their own transportation back to Northmoor Park to retrieve their vehicles, if necessary. The park is located on the west end of Northmoor Place in Clintonville. There is limited parking in the lot so participants may need to park along streets. Participants must sign a liability waiver (adults must sign for minors) and be fitted for a life jacket. The Olentangy Water Trail will be announced. Participants will then receive a quick lesson in safe paddling before getting on the water. Paddlers return life jackets, boats and paddles at Northmoor. Lunch on your own. Park Bring your own helmet and bike. Helmets are required. The tour includes a stop in the OSU area to learn about the removal of the 5th Avenue Dam and the Olentangy River restoration. 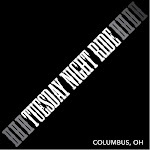 The ride will end downtown near North Bank Park with a discussion of the proposed Main Street Dam removal. Participants are responsible for their own transportation back to Northmoor Park to retrieve their vehicles, if necessary.